More air pressure is required to inject cellulose into wall cavities. At the beginning of a single cavity injection, this higher air pressure causes minute cellulose particles to blow out through gaps around electrical outlets and other air leakage points. But these leaks are soon plugged by the pressurized application, and the cavity begins to fill. When no more cellulose can be injected into the cavity, the technician moves on to the next stud bay. Access holes are plugged once the overall installation is complete. 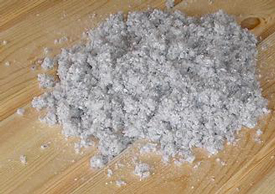 Dense-pack cellulose provides about R-3.8 per in. of insulation value. It’s a cost-effective way to upgrade walls the are wasting energy and compromising interior comfort because of inadequate insulation.